Whether you’d like your yard to have a more welcoming appearance or want to turn your boring backyard into a beautiful outdoor living space, it’s important to plan well in advance for home landscape design projects. Lack of knowledge about the process can cause you to feel pressured if you haven’t allowed enough time to plan, budget, interview, and select the right contractor. 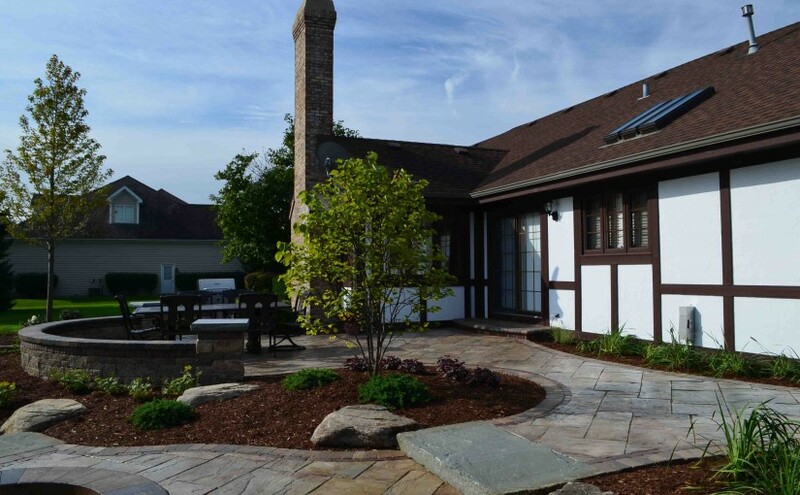 By helping you understand our process, you’ll know what to expect and can allow ample time for us to discuss your landscaping goals, consider design options, apply for permits, and obtain the proper materials. Just so you know what to expect, here are the steps involved in the landscape design process when working with us. Make us aware of your interest as soon as possible. If we are made aware of your interest early, we can get you into our schedule for a free on-site consultation and you avoid having to wait — this is especially important during the busy spring landscaping season. The purpose of the on-site consultation is to discuss your goals and objectives for the project while considering additions or modifications to other property features. 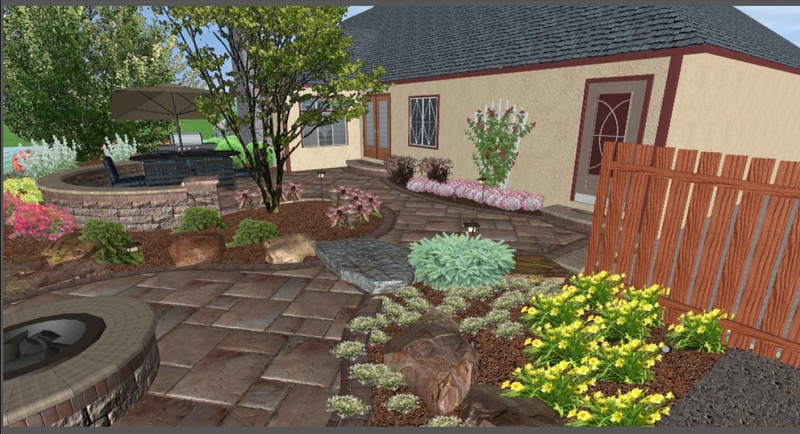 During this step, we will review design options through hand-drawn sketches, discuss overall budget, and explain costs or conditions if any custom landscape design work is involved. We listen to your needs and learn about your unique style. Be ready to review a working scaled design and allow time for a re-design or revise if needed. Once a design is approved, Landscape Creations will confirm site and design compatibility (i.e. drainage and grade or elevational changes). Your needs and the landscape itself will be taken into consideration while incorporating site requirements for drainage and code compliance. The proposal, bill of materials, and scope of work will be discussed at this point so that you have a thorough understanding of the project. You will also be informed of any design costs (design costs vary based on size and scope of project). Simple designs can typically be produced at little to no cost; however, more detailed plans for larger projects will have design costs associated. If design costs are charged, they are generally deducted or applied to the project once you have made the final decision to hire us. Depending on the size and complexity of your project, the design process can take several weeks. Secure a position in our schedule as soon as you are ready to move forward. This way, we can ensure that there is enough time to complete the design, obtain your approval, select materials and apply for any necessary permits. 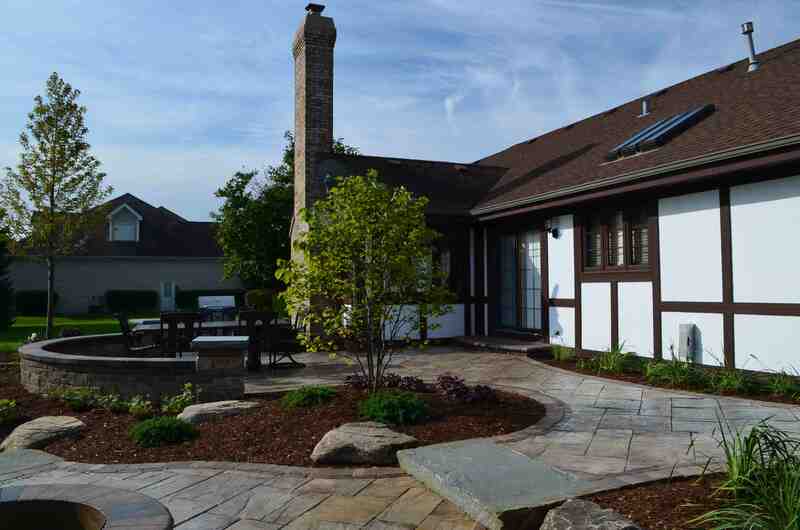 Now that you have a better understanding of our process and how to plan ahead for custom landscaping projects, you will save time and money while having a smoother experience. Contact us to schedule your free on-site consultation by calling (630) 932-8966 or by completing our easy online contact form.